The project is located on Washington Avenue in Miami Beach, Florida. 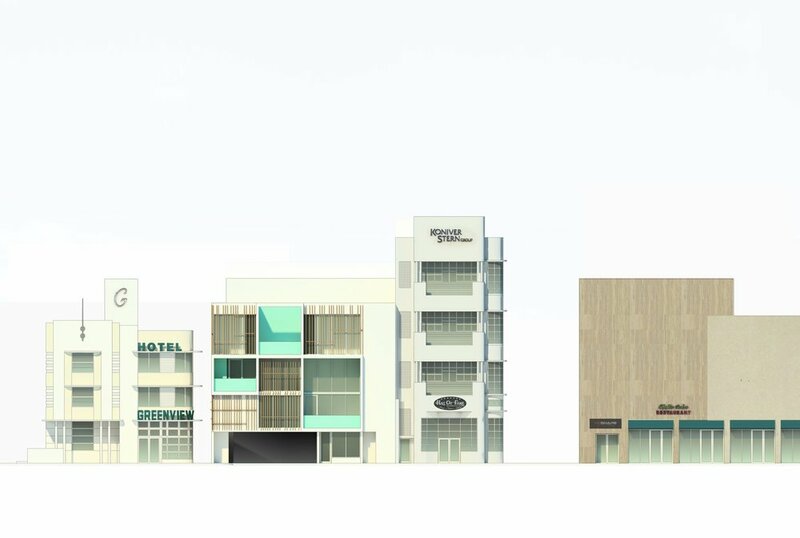 Programmatically it is divided into two volumes; one volume containing the commercial and residential component and the other comprised of a parking garage for the use of the Raleigh Hotel. 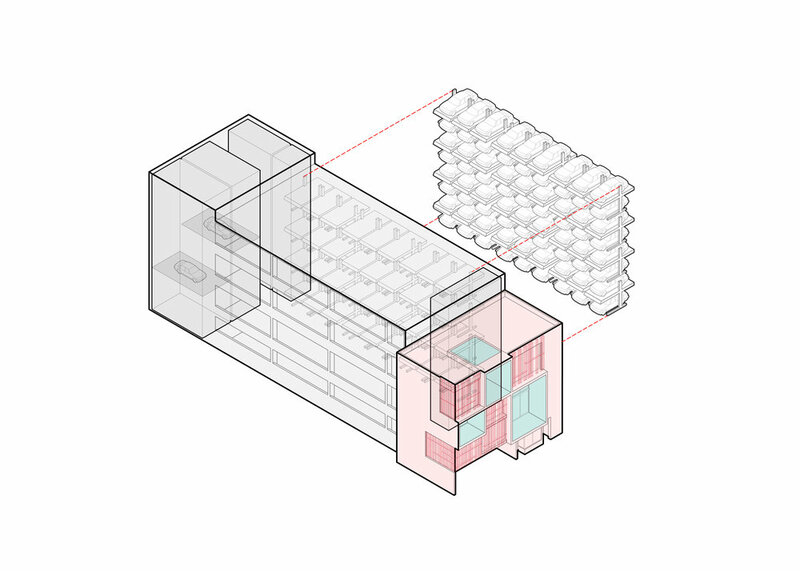 The project breaks away from the typical typology found on Washington Avenue by introducing a townhouse situated above the commercial space on the ground level. Punctures within the mass of the facade create balconies and terraces with views onto the street and Soundscape Park located directly across.The facade is further subdivided by screens to filter light and protect from the sun.